Sick of Dhaka Traffic? Then Make rastaRObosta A Reality! Crowdfunded startups are few and far between here in Bangladesh but traffic is omnipresent everywhere in the overcrowded capital city of Dhaka. Confused about this tangent? Well to clarify Ahmed Abu Bakr, a graduate of North South University and Dhaka resident – has taken an initiative to develop a traffic application that allows regular people like you and me to give and receive traffic updates. 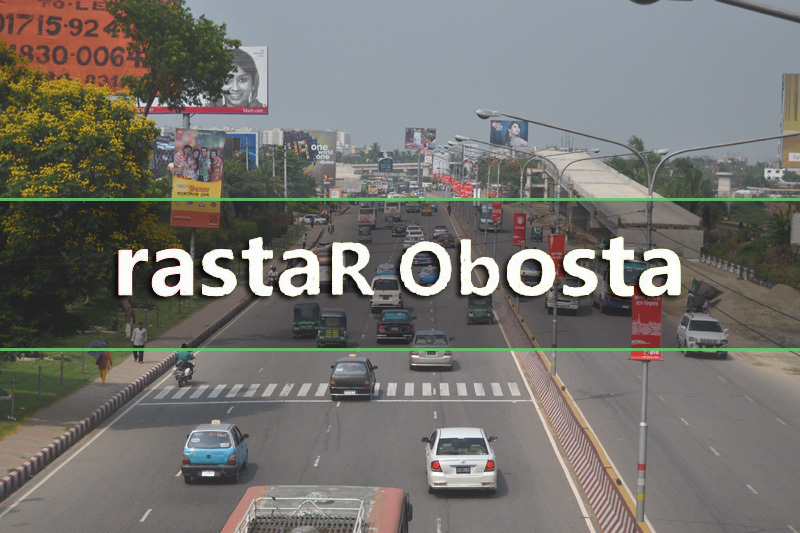 rastaR Obosta (which literally translates to “condition of the road(s)”) is an application that is the brainchild of Ahmed Abu Bakr. Ahmed is the Product Designer and Head of Business Planning at AmaderDaktar, a telemedicine project under mPower Social Enterprises Ltd. The concept of people powered traffic updates is not that new- people have done this via social media, especially on Facebook. But of course, traffic updates via Facebook are not the most intuitive nor very region specific. You have to scroll down a list of updates to find one that is relevant to you, and then check to see if it was posted soon enough to still be valid. The app in question allows users to simply represent the traffic situation by using colored indicators to exemplify the traffic situation. As a user, you must first give an update on the state of traffic in your current location. In return you’ll receive information on all areas covered in the past 10 minutes.The obvious advantage to this are that updates are in real time and more location specific as well as the fact that the app will be updated so long as someone enquires about the traffic. The app entered development on 10th March and is really simple. The moment you enter the app, it turns on your smartphone’s GPS and shows your location on Google Maps. A circle showing 10 nearby selected roads are displayed to the user who then has to select one of the roads and choose the appropriate traffic situation. The user then gets access to view the conditions at other locations on the map. Initially the traffic intensity will update every 10 minutes but as the user base of the app grows, the updates will refresh more regularly. When more than one person posts an update on a road, the app does a weighted average of the total updates at the time to display a more accurate representation of the situation. rastaRObosta needs 3.5 lakh taka (about $4375) to get to the market and is attempting to use crowdfunding to raise the necessary capital, something that has not been done before on a large scale in Bangladesh. The app has already gained 2 lakh taka in pledges and as of 17th March 2015, has opened for funding. The application is planned for release two weeks before the month of Ramadan which puts it at early June. It will be released on both iOS and Android and will be free to use. If the app garners success, a Windows Phone version will be released too. Visit their facebook group here. Apple secret fitness lab is interesting but will it make a difference?